Maze activities have been a fun visual motor, fine motor coordination and spatial reasoning task for students. I especially enjoyed (and so did the kids!) the magnetic maze activities we used with students on 1:1 or as provided in play centers in early childhood, Pre-K or kindergarten as a visual motor activity. Add a grasp to the magnetic pencil and some positioning for students and reinforcement of OT goals could be accomplished. They are also contained providing easy management in the classroom. Using them as a labyrinth without a pencil or stylus (holding and moving the ball to the designated goal) also adds a motor planning and bilateral coordination demand to the task, more appropriate for primary aged students. One draw back however is having a variety of levels available, however, the task can certainly be graded with postural control demands with positions, eg. sitting at a table, sitting on a ball without support, standing, kneeling, etc. What about similar activities on the iPad? Mazes Touch app for iPad /iPhone (free with ads; OS requirements: OS 4.2 or later.) allows users to either tilt the iPad or use a finger or stylus to move the target to the maze exit. This app uses the gyroscope and accelerometer features of the iPad, different from other typical visual motor, follow-in-the-lines kinda app or task. Mazes Touch app provides a timer that times how long it takes you, not a count down timer that can cause anxiety about finishing the task. 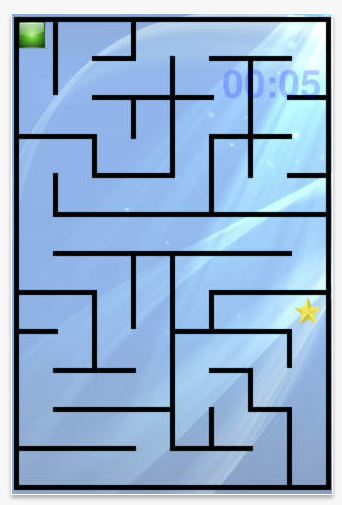 Three levels of mazes (Small, Medium and Large) are available in the app, with small mazes being the easiest. Examples of medium and large mazes . 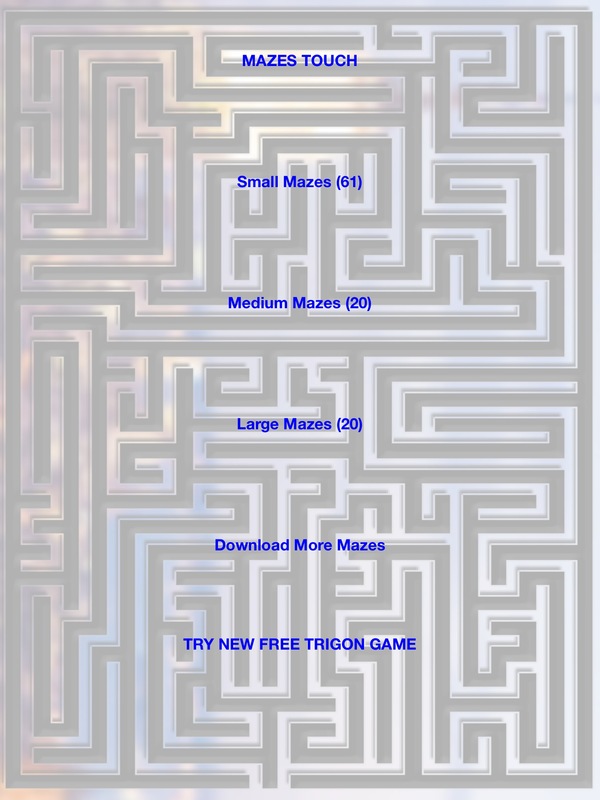 This free app provides 61 small mazes, 20 medium mazes and 20 large mazes with initial download. 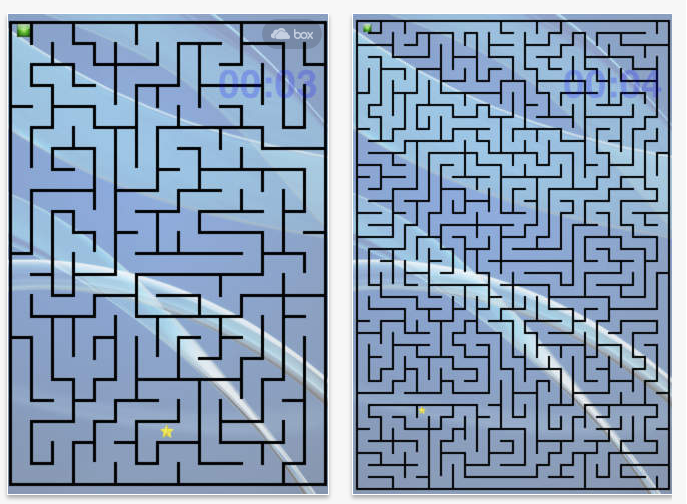 Selecting the “Download More Mazes” link, provided another 30 mazes, 10 more of each level – plenty of mazes to keep the user practicing with increasing levels of challenge. Touch Maze app provides a labyrinth type of challenge for primary aged students with intermediate visual motor skills. What other pros or cons do you see? What has been your experience? An additional thought. This type of app would be great with academic activities embedded as a goal to identify numbers, letters, math problems, phonics or other common core tasks while working on visual motor or bilateral skills. Perhaps there is an app out there like that ? Any one familiar with one? This entry was posted in Apps for OT's, Bilateral Control, Early Childhood, Elementary School, Free apps, iPad, iPhone, iPod, Occupational Therapy, Primary Grades, Visual Motor and tagged Apps for OT's, iPad, Mazes, Visual motor apps. Bookmark the permalink. 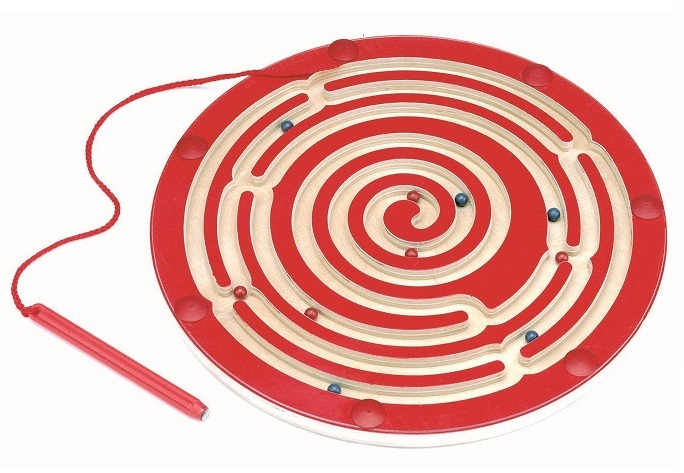 6 Responses to Mazes Activities – Magnetic Maze Boards or an App? I love Marble Math Jr. Math concepts combined with a maze. Thank you so much for your comments! Given time, I hope to share this! Marble Math has simple mazes with math concepts embedded. Thank you for your comment, I hope with time I can share this! I’m also attaching 2 pics of one group in action! Hi Gina, Thank you for your comment. You were mentioned in my blog post today. There are a few more resources also listed. The pics didn’t come through, but that might be okay for privacy purposes. Take care, it is great to see you again!! Hope your school year is going well.